What often gets lost in the public dialogue and media coverage of “Obama-care” is, well, the Truth. Facts. Empirical knowledge. Real Information. Take for example a study (based on Kaiser Foundation and other studies, of the Real Savings and impact on health insurance policy holders presented by Jonathan Cohn in THE NEW REPUBLIC. Read the full article at http://www.newrepublic.com/article/114302/kaiser-study-obamacare-tax-credits-worth-thousands-lots-people . The authors start by figuring out what the initial, upfront cost of insurance will be for people buying coverage on the exchanges. Based on Congressional Budget Office projections, the average across all households—that is, individuals and families, of all ages—works out to $8,250 a year. That’s not a bad price for comprehensive coverage: It’s in the same ballpark as policies that employers provide employees. Still, it’s more than some families buying coverage on their own might pay today, because they have skimpy policies or benefit from preferential pricing for the healthy that Obamacare prohibits. That’s why conservatives insist people won’t want to sign up for Obamacare’s insurance options. But, again, those are the initial premiums. According to the Kaiser study, the subsidies on average will reduce premiums by $2,672, or about a third of the price. The averages mask a lot of variation, with more affluent people getting less assistance and less affluent people getting more assistance. People with incomes of more than four times the poverty line, or about $94,000 for a family of four, get no discount at all. That’s one reason why some people really will pay more for their insurance next year. 1. No lifetime limit on coverage for 105 million Americans. *2. Up to 17 million children with pre-existing conditions can no longer be denied coverage by insurers. *3. 6.6 million young adults up to age 26 have taken advantage of the law to obtain health insurance through their parents’ plan. *4. Free coverage for comprehensive preventive services for millions of women starting in August. *5. 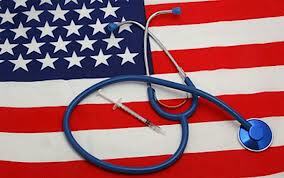 86 million Americans, including 32 million seniors in Medicare, have already received free preventive services. *6. 5.3 million seniors have already saved $3.7 billion on their prescription drugs. *7. Since the health care law was enacted in March 2010, 4.2 million private sector jobs have been created – many of them in the health care industry. *8. The Small Business Health Care Tax Credit has already been used by 360,000 small businesses to help insure 2 million workers. *9. $1.1 billion in rebates from health insurance companies this summer will benefit nearly 13 million Americans. *10. The health care law reduces the deficit by $124 billion over the next 10 years and over $1 trillion over the following decade. Question: ARE THESE VALID CLAIMS FOR THE AFFRODABLE CARE ACT? Well thanks so very much! I hope we can be in touch and would welcome any comments you’d care to make!